Upon logging into Facebook, you’re greeted with a landslide of information, advertisements, and photographs. The tempting text box of the status update area asks, “What’s on your mind?” and that’s exactly what people answer, sometimes as the thoughts in their head occur to them. What is the point of Facebook? Social media has taken over our culture. Everything is about the clicks, the likes, the shares, the pins, the favorites, the retweets. We disseminate information instantly, virally, and like a virus the information spreads across our lives and the rest of the world. But why do we do it? Only update your status once per day – try it out for a week, or a month. You may notice how many trivial things you hold back by saving up that status for one really meaningful update. Take the app off your phone – without the constant influx of notifications, your day will have fewer interruptions and you will accomplish more. Declutter your friends list – only keep friends that you honestly want to keep in touch with. 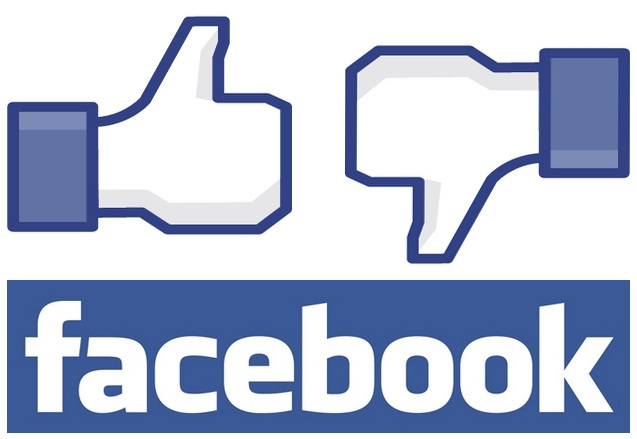 Declutter your “likes” and groups – any page you “like” on Facebook may junk up your feed with meaningless updates. Unless it’s something you want daily updates about, consider a serious cutback on likes and groups. Don’t be afraid to hide people – you may have friends you care for dearly but who post dozens of pointless statuses or “funny” photos by the day, or even by the hour. Keep these people around for important updates but feel free to hide them from your news feed so you only see what you want. Block apps – those games and applications are a waste of time. Unless you’re having quality interactions with people or genuine fun playing a game, consider scrapping it. Block application invites so you aren’t constantly spammed by friends and family. Keep it to off-hours – only check Facebook after work and on weekends. This will keep you more productive at work and will make Facebook a piece in your end of day relaxation instead of a constant nag for attention. Set limits – You don’t need to spend hours on every day. Get in, talk to the people you want to talk to, and get back out. I performed my own miniature social experiment for August, called Facebook Friday. From July 30 to August 31, I intended to only log into my Facebook account on Fridays. I deleted the app from my phone so I would get zero notifications without logging in. Weeks one and two: People wondered if I had closed my account. There was general discomfort around my bucking the status quo. Several people were upset that they did not hear from me, and I was even accused of personality changes because I was acting differently. However, I felt much more productive at work and felt less stressed without the constant notifications from Facebook on my phone and having the page open periodically to check during the day. Weeks three, four, and five: Mostly I was just ready for it to be over. I had shaken my need for constant updates, and I was ready to get to a more balanced (though still limited) Facebook schedule, following the tips outlined above. How about you? Do you have a Facebook account? How do you limit your time so you focus on more important things? I had a facebook account and closed it. I never plan to reopen it and I am far happier without it. I’m very tempted sometimes to do the same but I haven’t been able to cut the cord yet. I only have four friends, my husband, my niece, my bil & my stepmom – all of whom, with the exception of my husband of course, live at least 1800 miles away. I keep the friends I have because if I didn’t I’d never hear from them or see photos. I used to have a huge friends list but found over time, there was no real substance. Other than the occassional photo update it was all just something to pass the time & ignore real life. I figured, if I hadn’t been interested in keeping in contact with people for all these years, why would I bother to start now? Really, if it weren’t for the school & club updates I get for my daughter I’d likely scrap the whole thing. I suggest a person try hiding most everyone & block apps and in a very short while, you’d be surprised how much happier you are without it – building relationships with the people you can hear, touch & see instead. Great advice! I need to do a serious cleaning of the friends list myself. Only four seems like a really focused Facebook experience. 🙂 Thanks for your thoughts! You don’t have to receive notifications, there are ways of turning that off. I have facebook on my computer and my phone, but I only go on when I want to – not because a notification tells me. I don’t have that feature turned on for emails either. How annoying that would be! I update my status once a day, I have a lot of friends – but have them organized (online acquaintance, high school (20 yr reunion), friends, family) – I can’t imagine all the things I would miss not having facebook. We are a military family and don’t live close to home, I could never keep up with my all my cousins and friends we have made all over the world without it. It’s simply a matter of you using it as a tool and not allowing it to use you. PS – I also NEVER “like” corporate pages, that keeps the spam down. I’ve had a few good clearouts of late, and try to keep thing minimal, but I think there is at least one person whose constant postings I need to block…and I need to stop myself checking it so often! Good luck! It’s a hard habit to break. At the same time, I know it’s bad and makes me stressed. I guess it’s like the junk food of the internet. I think that it is the same as TV for me- being selective and not just watching junk TV or aimlessly clicking Facebook..I love Facebook for the photos and so on, but I only have people I actually know and would like to see again! Having another clear out- although this time mostly ‘friends’ with deactivated accounts. Oh, and cleared out the newsfeed- no more scrolling though ten photo shares of animals per hour to get to things I want to see! The photo noise drives me nuts. I have a few boomerang friends that keep coming back if I try to delete them, and I feel guilty so I relent. I’ve just hidden most posts from the main picture noise makerr! I have also discovered that there were nearly twenty deactivated friends on my account, several of whom I didn’t recognise the names of..
Wow, that’s definitely time to cull the list down! I had a few like that myself but not twenty! Looks like lots of people are deactivating lately. normally I don’t post more than one status a day, sometimes even just one or two in a whole week. I never played any of these weird games and I blocked all applications, but I still see updates the games post for my friends, if it gets a huge bunch I hide them. and I noticed that I feel better when I’m not spending that much time on the internet and especially on facebook. I have to admit I do check facebook quickly every now and then during the day, but trying to cut that down, not much happening at all! mostly I use facebook for updates from things like online magazines because I’m to lazy to figure out rss readers, and I’m active in one or two groups, mainly one which is really interesting and important to me because it’s about health related things and I enjoy a good discussion and new information. but I’m getting more and more into the world of blogging, so I read more blogs than checking facebook with its tons of useless “information” about who ate breakfeast at which location. It sounds like you keep your Facebook habits under control 🙂 Thanks for reading!